I got this free through Bookbub. It’s an interesting story of an eighteen-year-old boy experiencing strange things after an accident. A psychiatrist with problems of her own treats him and they get together to help each other. The story is really well built and written. Throughout the whole thing you’re kept on your toes. The suspense is kept up until the end. I really enjoyed it. It’s different from what I read usually and it was a nice change. Lots of twists and turns with the psychiatrist’s sister playing a major role in the story making it even more interesting. 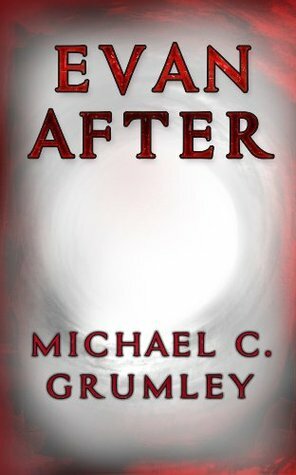 This is my first book by Michael C. Grumley although he’s been publishing for a while now. It has an almost-five star rating on amazon.com and a five star rating on amazon.ca. I can understand why. This entry was posted in Uncategorized and tagged biking accident, book, cop, Evan After, kidnapping, Marine, Michael C. Grumley, nurse, psychiatrist, Reading, suspense, writing by Phoebe Sean. Bookmark the permalink.